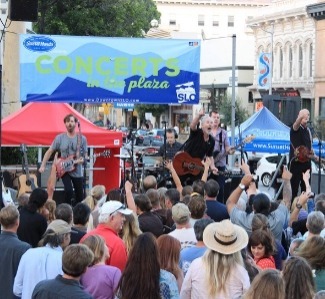 2019 marks the 24th anniversary of the most popular free concert series on the Central Coast. Musical styles range from Rock, Blues, Reggae to Americana and Country to Funk and California Roots Rock. Local vendors sell snacks and food for concert goers while Firestone Walker Brewing Company and Edna Valley Vineyard supply beer and wine for purchase. Bar and food vendors are provided as well as non-alcoholic beverages.